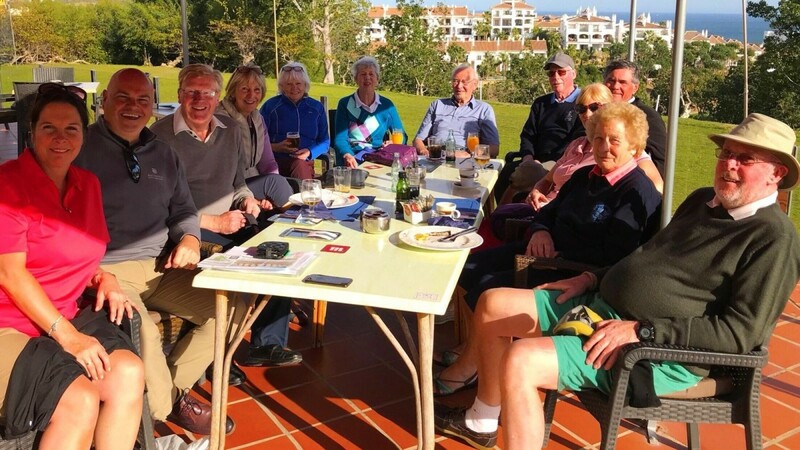 The Macdonald Resorts Spanish Open is all about gathering golfers from around the UK for a relaxed fun golf holiday with a slight competitive edge. The highly successful amateur golf tournament is great fun for couples, groups and ideal for golfers who are taking a golf holiday on their own, and althuogh they are competitive we never forget you're on holiday. The inaugural Open took place on the 26th of January as excited golfers gathered at the beachfront Macdonald Doña Lola Resort in Calahonda for a welcome drink’s reception, a chance to mingle and catch up with friends both old and new, followed by an introduction from the event organiser and the format explained for the golf tournament for the days ahead. The competition was a three-game full stableford over the week, with breaks in between so everybody could unwind and enjoy the sights, or just relax by the pool or even take in a leisurely stroll along the recently finished boardwalk. The opening game was played at Mijas Los Olivos, followed by Miraflores and Cabopino later in the week. All the courses were in excellent condition, and with slick greens and difficult pin positions many struggled overall, apart from one man, 84-year-old Ray Dowson form Ormskirk who has been a regular visitor to the Macdonald Doña Lola Resort for the past 30 years! Ray’s steady golf over the week was enough to clinch first place and enable him to take home the top prize of a three-night golfing break for 2 at Doña Lola. But the story didn’t end there. Ray was back again for the second week of the Open, this time taking on some very good single handicap golfers. This included games at Santa Clara, Cabopino and Calanova which were equally testing and in high temperatures many just couldn’t get going apart from one man… Ray Dowson. Ray came in one point clear of 5 handicapper Peter Crockford from Surrey to clinch his second tournament in as many weeks. If you enjoy playing fun, relaxed yet competitive golf on top-class championship courses we are confident you will enjoy a Macdonald Resorts golf break. All amateur golfers, regardless of handicap, are welcome to join us any time. And if you'd like to challenge Ray's title please join us for the next Macdonald Resorts Spanish Open from 4th-9th November 2019. Click here for more details. Ray Dowson, Ormskirk Golf Club member.